Shiu Yin Yuen, Kelvin was born in Hong Kong. He was awarded the Associateship (AP) in Electronic Engineering by the Hong Kong Polytechnic in 1985, and became the first person to be awarded the MPhil Degree by the Polytechnic in 1988. He was awarded the Doctorial degree (DPhil) from the School of Cognitive and Computing Sciences, University of Sussex, UK in 1992. 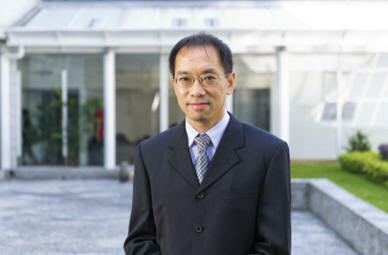 Dr. Yuen joined City University in 1992 as a Lecturer, and is now an Associate Professor. He has published more than 30 international journal papers, including IEEE Transactions on Evolutionary Computation, Journal of Machine Learning Research, and International Journal of Computer Vision, and more than 60 international conference papers. He was Program Co-chair of International Conference on Natural Computation 2013 and has served as Program Committee Member in 18 international conferences. He is Coordinator of Community of Practice for Social Responsibility and Ethics. Most of his final year projects are socially related. He is particulary interested in developing aids for the visually impaired. He is also interested in ways to reduce myopia and cultivate good phone using habits in young children. He serves as an Adjudicator and Supervisor of the Joint School Science Exhibitions. He was the recipient of the Hong Kong Government Scholarship for Outstanding Performance in the Secondary School Entrance Examination, the Sir Edward Youde Memorial Fellowship and the Croucher Foundation Scholarship. His personal sharing may be found in Personal Web Page. Y. He, S.Y. Yuen, Y. Lou and X. Zhang, “A Sequential algorithm portfolio approach for black box optimization,” Swarm and Evolutionary Computation, vol. 44, pp. 559-570, 2019. S.Y. Yuen, Y. Lou, and X. Zhang, "Selecting evolutionary algorithms for black box design optimization problems," Soft Computing, doi:10.1007/s00500-018-3302-y, 2018. Y. Lou and S.Y. Yuen, "On constructing alternative benchmark suite for evolutionary algorithms," Swarm and Evolutionary Computation, vol. 44, pp. 287-292, 2019. Y. He, S.Y. Yuen, and Y. Lou, “Exploratory landscape analysis using algorithm based sampling,” Proc. Genetic and Evolutionary Computation Conference (GECCO), July 2018, pp. 211-212. Y. Lou, S.Y. Yuen, and G. Chen, “Evolving benchmark functions using Kruskal-Wallis test,” Proc. Genetic and Evolutionary Computation Conference (GECCO), July 2018, pp. 1337-1341. Y. He, S.Y. Yuen, and Y. Lou, “A Bayesian restarting approach to algorithm selection,” Lecture Notes in Computer Science, vol. 10593, pp. 397-408, 2017. Y. Lou and S.Y. Yuen, “A Sequential learnable evolutionary algorithm with a novel knowledge base generation method,” Lecture Notes in Computer Science, vol. 10593, pp. 51-61, 2017. S.Y. Yuen, C.K. Chow, X. Zhang, and Y. Lou, “Which algorithm should I choose: an evolutionary algorithm portfolio approach,” Applied Soft Computing, vol. 40, pp. 654-673, 2016. S.Y. Yuen, X. Zhang, and Y. Lou, “Sequential learnable evolutionary algorithm: a research program,” Proc. IEEE International Conference on Systems, Man, and Cybernetics, pp. 2841-2848, Oct., 2015. S.Y. Yuen and X. Zhang, “On composing an algorithm portfolio,” Memetic Computing, vol. 7, no. 3, pp. 203-214, 2015. S.Y. Yuen and X. Zhang, “Multiobjective evolutionary algorithm portfolio: choosing suitable algorithm for multiobjective optimization problem,” Proc. IEEE Congress on Evolutionary Computation (CEC), pp. 1967-1973, July 2014. Y. Lou and S.Y. Yuen, “Non-revisiting genetic algorithm with adaptive mutation using constant memory,” Memetic Computing, vol. 8, no. 3, pp. 189-210, 2016. X. Zhang and S.Y. Yuen, “A Directional mutation operator for differential evolution algorithms,” Applied Soft Computing, vol. 30, pp. 529-548, 2015. C.K. Chow and S.Y. Yuen, “A Dynamic history-driven evolutionary algorithm,” Proc. IEEE Congress on Evolutionary Computation (CEC), pp. 1558-1564, July 2014. X. Zhang, X. Zhang, S.Y. Yuen, S.L. Ho, and W.N. Fu, “An improved artificial bee colony algorithm for optimal design of electromagnetic devices,” IEEE Transactions on Magnetics, vol. 49, no. 8, pp. 4811-4816, 2013. X. Zhang and S.Y. Yuen, “Improving artificial bee colony with one-position inheritance mechanism,” Memetic Computing, vol. 5, no. 3, pp. 187-211, 2013. S.W. Leung, S.Y. Yuen, and C.K. Chow, “Parameter control system of evolutionary algorithm that is aided by the entire search history,” Applied Soft Computing, vol. 12, no. 9, pp. 3063-3078, 2012. C.K. Chow and S.Y. Yuen, “A Multi-objective evolutionary algorithm that diversifies population by its density,” IEEE Transactions on Evolutionary Computation, vol. 16, no. 2, pp. 149-172, 2012. C.K. Chow and S.Y. Yuen, “An Evolutionary algorithm that makes decision based on the entire previous search history,” IEEE Transactions on Evolutionary Computation, vol. 15, no. 6, pp. 741-769, 2011. S.Y. Yuen and C.K. Chow, “A Genetic algorithm that adaptively mutates and never revisits,” IEEE Transactions on Evolutionary Computation, vol. 13, no. 2, pp. 454-472, Apr. 2009. X. Zhang, K.F. Fong, and S.Y. Yuen, “A Novel artificial bee colony algorithm for HVAC optimization problems,” Science and Technology for the Built Environment (formerly HVAC&R Research), vol. 19, no. 6, pp. 715-731, 2013. K.F. Fong, C.K. Lee, C.K. Chow, and S.Y. Yuen, “Simulation-optimization of solar-thermal refrigeration systems for office use in subtropical Hong Kong,” Energy, vol. 36, pp. 6298-6307, 2011. K.F. Fong, S.Y. Yuen, C.K. Chow, and S.W. Leung, “Energy management and design of centralized air-conditioning systems through the non-revisiting strategy for heuristic optimization methods,” Applied Energy, vol. 87, no. 11, pp. 3494-3506, Nov. 2010. C.W. Sung and S.Y. Yuen, “Analysis of (1+1) evolutionary algorithm and randomized local search with memory,” Evolutionary Computation, vol. 19, no. 2, pp. 287-323, summer 2011. J. Ahlgren and S.Y. Yuen, “Efficient program synthesis using constraint satisfaction in inductive logic programming,” Journal of Machine Learning Research, vol. 14, pp. 3649-3681, 2013. C.K. Chow and S.Y. Yuen, “Illumination direction estimation for augmented reality using a surface input real valued output regression network,” Pattern Recognition, vol. 43, pp. 1700-1716, Apr. 2010. J. Liang and S.Y. Yuen, "A Novel saliency prediction method based on fast radial symmetry transform and its generalization," Cognitive Computation, vol. 8, no. 4, pp. 693-702, 2016. J. Liang and S.Y. Yuen, “An Edge detection with automatic scale selection approach to improve coherent visual attention model,” Pattern Recognition Letters, vol. 34, pp. 1519-1524, 2013. C.K. Chow and S.Y. Yuen, “A Solution to illumination direction estimation of a shaded image: genetic algorithm,” Image and Vision Computing, vol. 28, pp. 1717-1730, 2010. C.K. Chow and S.Y. Yuen, “Recovering shape by shading and stereo under Lambertian shading model,” International Journal of Computer Vision, vol. 85, no. 1, pp. 58-100, Oct. 2009. Self-motivated students genuinely interested in original research are encouraged to apply for our PhD program. Applicants should have a good analytical mindset and good programming ability. Applicants from relevant fields such as computer science, engineering, and mathematics are preferred. Application information and deadlines can be found in EE Admission Information Page. You may also apply through the Hong Kong PhD Fellowship Scheme. Welcome to email me your updated CV and a statement of purpose. Y. Lou, “Techniques for improving online and offline history-assisted evolutionary algorithms,” 2017. J.Y. Liang, “A Novel saliency prediction method based on fast radial symmetry transform and its extensions,” 2015. J. Ahlgren, “Automated programming using constrained inductive logic programming”, 2014. X. Zhang, “Techniques for improving differential evolution and artificial bee colony algorithms,” 2013. S.W. Leung, “Applying entire search history for parameter control of evolutionary algorithms,” 2013. C.Y. Lam, “Methodologies of 2D object recognition: a robust hypothesis/verification approach,” 1997. T.S. Lam, “2-D object recognition by computer: a robust Hough-like prediction/correction approach,” 1995. S.F. Chen, “Graph-based stereo correspondence algorithms and occlusion detection,” 2005. Y.Y. Tsui, “A Study of fast marching method for shape from shading under orthographic and perspective projection,” 2003. C.K. Fong, “A Study of statistical design for genetic algorithm and its application on object localization,” 2001. C.H. Tse, “Object boundary estimation using successive approximating genetic algorithm,” 2000. C.H. Ma, “An Investigation of Hough transform and genetic algorithm for multi-modal pattern recognition,” 1998. “We all know that there are regions of the human spirit untrammeled by the world of physics. In the mystic sense of the creation around us, in the expression of art, in a yearning towards God, the soul grows upward and finds the fulfillment of something implanted in its nature. The sanction for this development is within us, a striving born with our consciousness or an Inner Light proceeding from a greater power than ours. Science can scarcely question this sanction, for the pursuit of science springs from a striving which the mind is impelled to follow, a questioning that will not be suppressed. Whether in the intellectual pursuits of science or in the mystical pursuits of the spirit, the light beckons ahead and the purpose surging in our nature responds.” – A. Eddington.